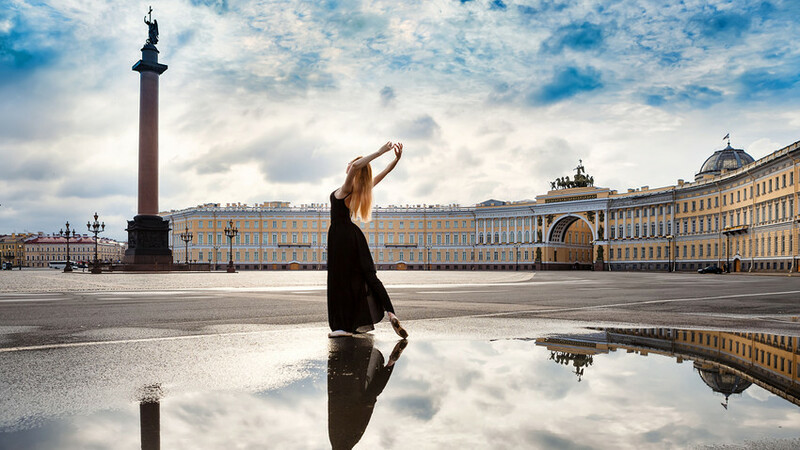 Greet the sunrise on Nevsky Prospect, enjoy stunning parks, and party all night long! Explore St. Petersburg’s main street before it gets too crowded with tourists - appreciate its grandeur and scale in the morning when the city is only just waking up. Start from Anichkov Bridge (known among locals as the “bridge with horses”) and move towards the Admiralty. 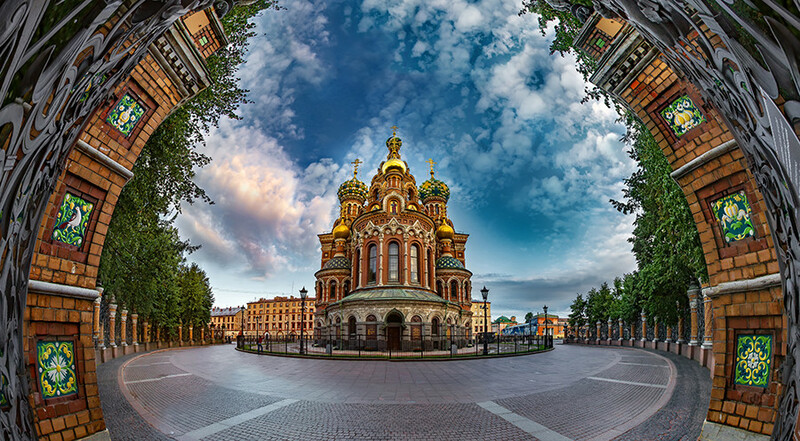 Don’t miss the luxury Eliseevsky grocery store and beauty of Nevsky’s cathedrals. As they say, breakfast is the most important meal of the day: Kasha, pancakes, and syrniki. There are several good places right on Nevsky, but note that majority of cafes only open at 9 a.m. Go to Stolle (Nevsky 11) to grab some traditional Russian pies or to Teremok for buckwheat kasha (Nevsky 60). Nowadays Palace Square in considered the true center of St. Petersburg, although the city was founded on other side of the Neva River – on Hare Island. 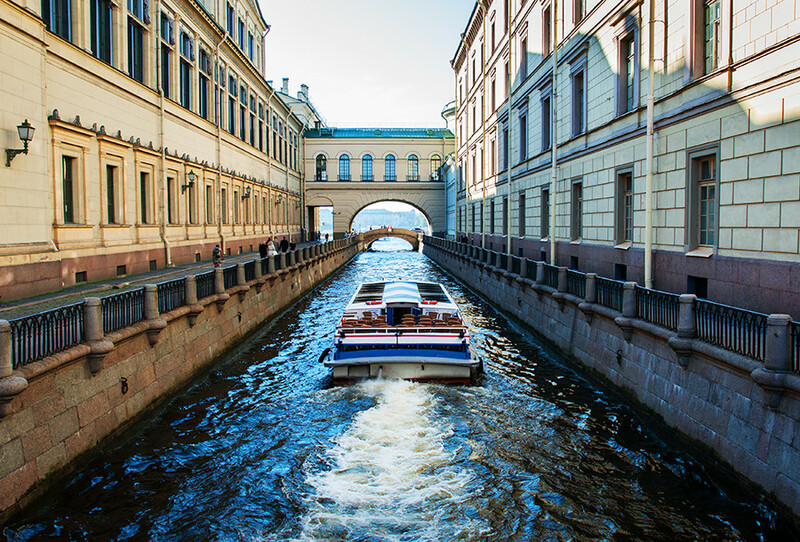 Both places are within walking distance and include the most spectacular views of the “Northern Venice.” Take a photo in front of the Winter Palace and cross the river via Palace Bridge. You find yourself at the Spit of Vasilievsky Island, where two Rostral columns remind people that a sea port was once located there. Then visit the Peter and Paul Fortress, where the former Russian capital was established in 1703. Don’t miss the midday firing of the cannon - it is especially spectacular to watch from Naryshkin Bastion or the beach. Come back to the mainland via Troitsky Bridge and head to the Summer garden – the first public garden in Russia. Have a picnic on the bench surrounded by antique statutes, flowers, and fountains. In the past only Peter I’s guests were invited there, while nowadays entrance to the park is absolutely free. You can’t leave the city without seeing the 7,000 square meters of mosaics decorating this church. Built on the place of the assassination of Tsar Alexander II, it’s a rare example of traditional Russian architecture in predominantly European looking St. Petersburg. Note that you need to buy a ticket to enter, but during summer time it has long opening hours (10:30 a.m. -10:30 p.m., closed on Wednesdays). The biggest souvenir market is located near the church. If you don’t find your ideal matryoshka doll, head to Gostiny Dvor through Arts Square. It’s the oldest shopping mall in the city and has a decent souvenir department on the ground floor. Rivers and canals occupy 10 percent of city’s territory, so you should take a boat trip. If after you want to party like a Russian, go to Rubinstein street, where more than 50 bars and restaurants are located. St. Petersburg street life happens here: People sit on open-air terraces, jazz musicians entertain passersby, and young poets drink near the monument of Russian-American writer Sergei Dovlatov. St. Petersburg’s famous bridges are an inconvenience for locals and form of entertainment for tourists. Starting from1 a.m. they stay open for several hours, so be sure that you are on the right side of the Neva. You can admire them from a boat, on a bike tour, or just walk from the palace to Trinity Bridge (both are the most centrally located and spectacular). If you are in the city in June, you’ll see the White Nights. Stay a bit longer on the embankment and meet the sunset at 3-4 a.m. with a glass of champagne. 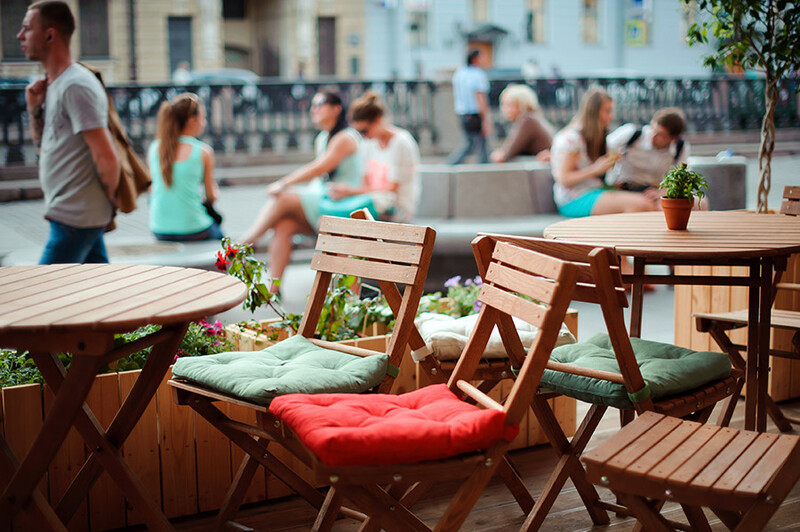 If you are looking for delicious food and morning sun, head to this café on Grazhdanskaya street 27. Inspired by American chef and TV host Julia Child, the bistro was opened by a couple who wanted to create something exquisite. French-style breakfast is served from 9 a.m. to 2 p.m.
St. Petersburg doesn’t have many viewing points offering a panorama of the entire city: just 20 buildings exceed 100 meters. The most compelling view of the city center is from the colonnade of Saint Isaac's Cathedral, which is open until 10:30 p.m. during the summer. But note that there are no elevators there and you will have to climb all 262 steps. Of course tourists like to visit the Hermitage, but don’t limit yourself just to this one (it might be wise to come back during the off-season to enjoy the imperial treasures without the crowds). 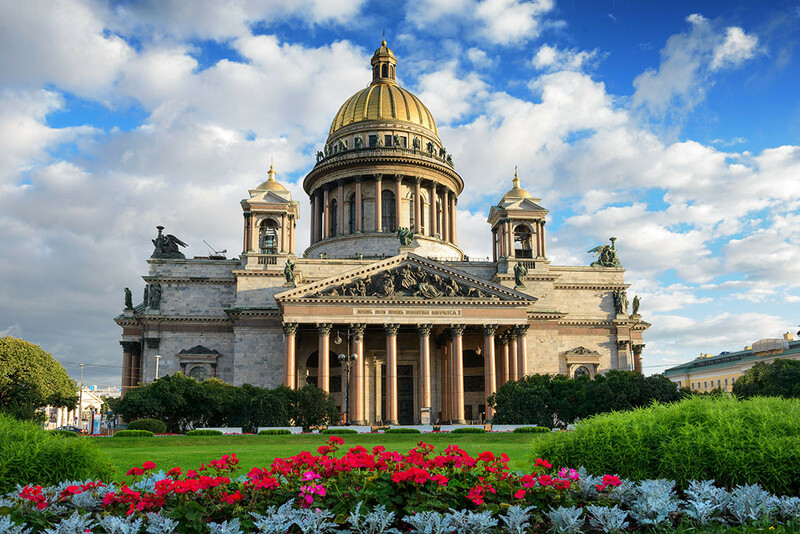 There are more than 200 museums in St. Petersburg, so you’ll find everything from Faberge eggs to modern street art. Head to this park on an island which was once a shipbuilding yard and later hosted naval warehouses, but now it’s a modern cultural hub. The naval prison called “The Bottle” has been transformed into an art center with cool bars and restaurants (Camora Isola pizza and Middle Eastern joint Bekitzer are especially good). Get off the metro at Sportivnaya 2 on the purple line to get to Krestovsky Island. Walk through Primorsky Victory park to see the $1.1 billion stadium (one of the most expensive sport venues ever built). Then cross Yakhtenny Bridge (the city’s longest pedestrian bridge) to get a spectacular view of modern St. Petersburg, the Gulf of Finland, and the Gazprom skyscraper – the tallest in Europe (462 meters). 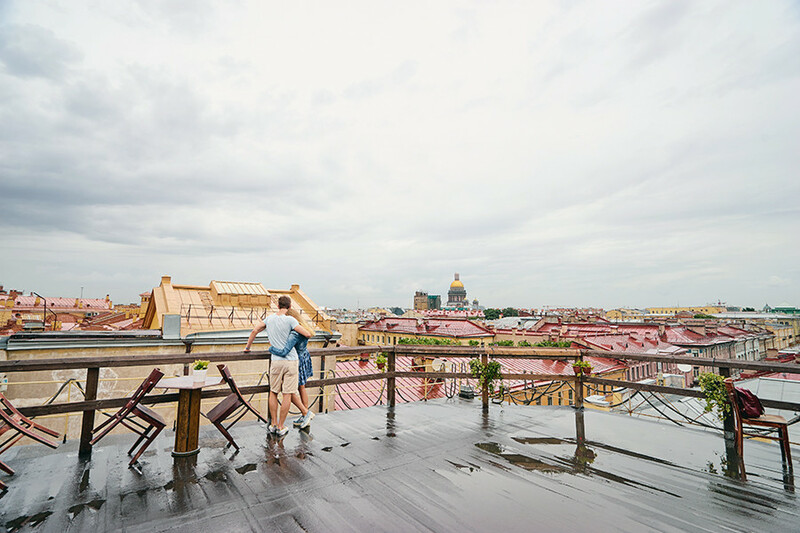 Enjoy the view of St. Petersburg’s famous roofs while eating delicious food – it’s an ideal way to say goodbye to the city. Bellevue Brasserie, located on the ninth floor of the Kempinski Hotel, guarantees you a view onto the Hermitage and Palace Square. 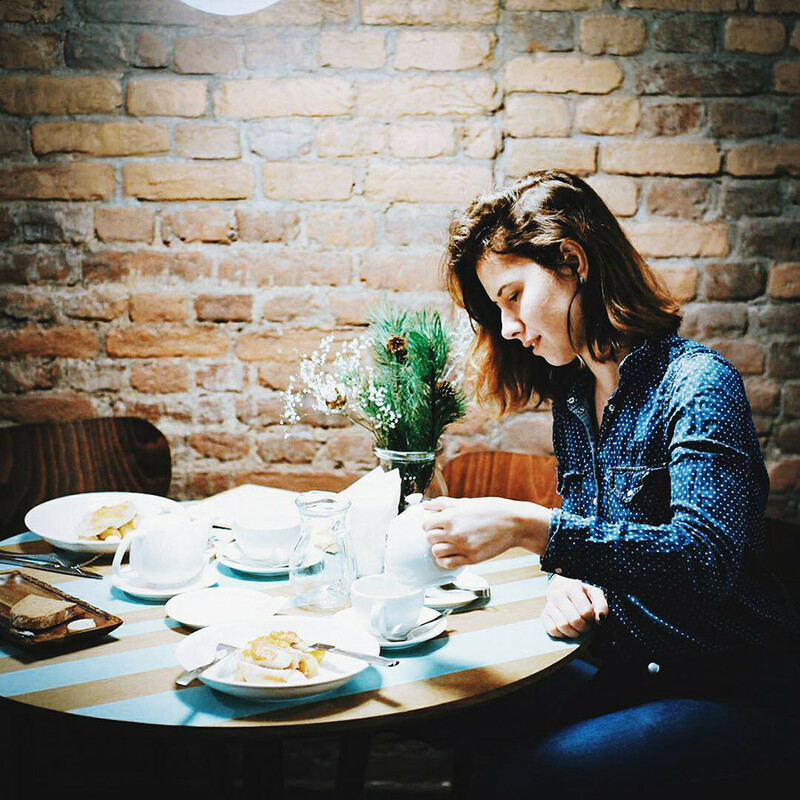 If you head to Moscow by train, check out the Moskva and Bolshaya Kukhnya restaurants (both offer European cuisine and located just several minutes walk from the train station). Download your guide in PDF (duplex printing) and use whenever you want!